Please send corrections, photographs, and notes. 1908 Churchill: Julia D. Childers, Robert Marion Childers. 1909 Guion Miller: Lula Frances Childers, Walter Childers. 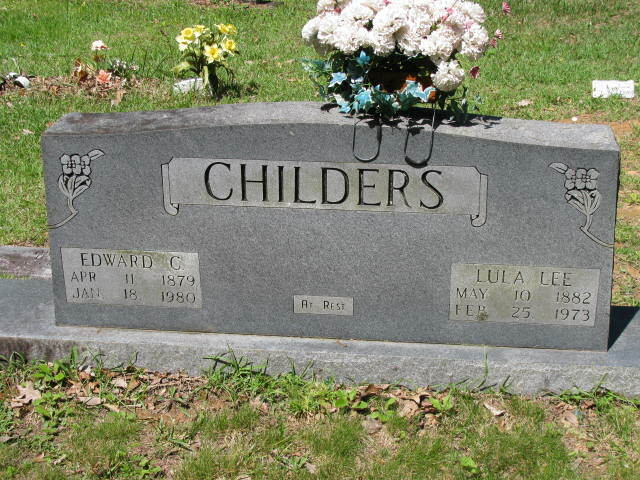 Robert Marion Childers, Russell Daniel Childers, Stella Lavada Childers. NC. Photo by John L. Mathis. Edward's mother, Nancy Lovada Childers, age 76.